Have you come across the term “permission marketing”? Well, this is a concept brought up into action by Srinivas and Jyotsna of GreatBuyz through their Streamz section. Now you must be wondering what GreatBuyz and Streamz are. 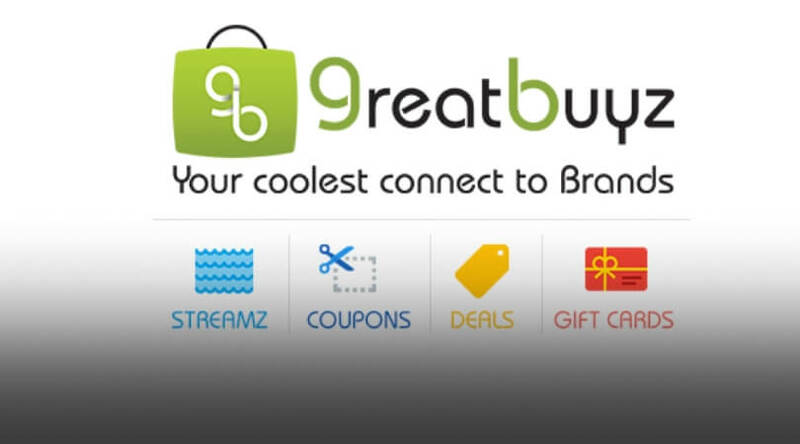 Well, GreatBuyz is a platform that provides a seamless experience to potential customers to save their time and money. It allows them to follow their favorite brand/business and know the latest updates and news through Opt-In method, thus cutting the chance of getting unnecessary junk SMSes and emails. Also, consumers can access GreatBuyz both via the Website and an App. GreatBuyz was introduced by the husband-wife duo, the revolutionary app that eases your shopping experience and helps you to make informed purchases. Their Streamz section enables customers to follow brands they like and thus get a 360-degree view of brands and their products/services right from newsletters, loyalty programs, flash sales to promotions, deals, product launches and more. What is Streamz all about? Why was this concept introduced? With this concept of GreatBuyz Streamz permission marketing or Opt-In, you never miss on the best offers, sales, and events from the brands you like. You all know we are living in a world that is stuffed with information these days. Just imagine if you have to filter all the information all by yourself. It would have been a daunting task. To make things simple for customers, Streamz was introduced. With sections dedicated to home décor, clothing, natural products and more, there is something for all budgets, tastes, and needs. It can be said that Streamz is unique Opt-in marketing for customers to gain access to useful information/news/updates and shop at their own convenience. The best part about My Streamz is that you can subscribe and unsubscribe at any time without any hassle. A lot of people still ask the question: Why Streamz? Basically, Srinivas and Jyotsna replaced interruption marketing with “interaction marketing” or what we mentioned above as permission marketing. They knew the fact that millennial customers want a direct and open connection with the brands they like or buy from. Also, research proves that 60 percent of the millennial group likes to have the ability to choose things that are useful for them and they don’t want to get unwanted updates/SMS from brands they don’t buy from. And thus Streamz provides a kind of platform to them to see varied information from the brands they select- all at one place, most important being the fact that they ONLY receive information from the brands/businesses they choose to subscribe/follow. What makes Streamz a popular platform for shopping? The My Streamz feature by GreatBuyz eliminates the push marketing method of SMS, email and re-marketing which are intrusive and not much liked by customers. Streamz further offers a single platform for promotional alerts, blog posts, emailers, FB posts, brand-related audios and videos and much more. Last but not least, Streamz simplifies customer’s shopping experience by enabling informed purchases. It is a one-stop shop that gives access to a variety of deals, gift cards, coupons and discounts of multiple brands.